There are now countless books, articles and youtube films explaining the way our nervous systems operate which have offered a lot of valuable understandings of symptoms like anxiety, depression, post-traumatic stress, addictive behaviours and chronic health conditions. The science shows that our nervous system is integral to our mind, and not just our thoughts, but it is deeply embedded in our bodies, through the nerves in our muscles, bones, organs and skin. Running counter to these very helpful insights, there is still a strong feeling of shame about our bodies in our culture, such that many people don't like to talk about their bodies or show their bodies. Often the message out there is 'your body isn't good enough as it is'. There is also the shame people feel about their bodies if, for example, they have personally been abused or have lost some functioning ability in their bodies which they feel sets them apart from others in society. The fact is that many people seek therapy and still feel unable to mention or feel safe enough to explore their body’s experience in the therapeutic relationship. A fundamental role of the therapist is to meet their clients as they are and support them to release any shame they may be feeling. This means being able to create the conditions of safety with their clients to be able to name and defuse shame. Therapists are now able to use the science and create simple explanations which they can give to their clients, that normalise peoples' experiences and offer techniques which people can take away with them to manage their symptoms, for example, the use of mindful breathing to manage anxiety. These support techniques can facilitate a sense of safety for clients, so that they can begin to unlock their shame with their therapist, enabling them to get underneath their symptoms to understand causes and beliefs and habits that hold the symptoms in place. I feel very encouraged as a therapist (and as a person with a body!) that the science is creating understanding and making a case for us to value our bodies as they are, and as messengers about our state of well-being. Our bodies can help us understand ourselves better, telling us about our needs and our preferences, our desires and our limitations. Mari Winkelman is a counsellor and integrative body and movement therapist. 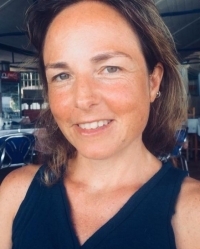 She has also worked in NHS and Voluntary Sector adult counselling services and has experience supporting adults particularly with ongoing health conditions, depression, anxiety and issues to do with relationships and sexual identity.